Global Handwashing Day UK Home Page. 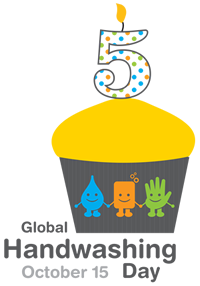 From infectious films to a Guinness world record attempt, Campaign 2012 is set to be the biggest UK Global Handwashing Day celebration to date as GHD coalition members come together to bring you campaigns to remember for the fifth GHD anniversary. We have partner universities investigating the hygienic nature of your money; a Guinness World Record attempt for mass hand hygiene lessons in schools; a chance to get creative by producing your own infectious film as well as hygiene awareness stalls in supermarkets on the big day (15th October)! The practice of handwashing with soap tops the international hygiene agenda on October 15th, with the celebration of Global Handwashing Day. for the deaths of over 3.5m children under the age of 5 every year. In developed countries, handwashing helps to prevent the spread of viral infections, such as norovirus, rotavirus and influenza. their hands with soap at critical moments, including after going to the toilet and before handling or eating food. The challenge is to transform handwashing with soap from an abstract good idea into an automatic behaviour carried out in homes, schools, workplaces and communities. millions of people to wash their hands with soap. This simple activity could save more lives than any vaccine or medical intervention, preventing the spread of infection and keeping children in school. Children, who so often are energetic, enthusiastic and open to new ideas, can act as agents of change by taking the handwashing lessons learned at school back into their homes and communities. Global Handwashing Day aims to motivate children to embrace and share proper handwashing practices and to take on the role of handwashing ambassadors. We would like to know how you will be celebrating Global Handwashing Day this year - please tell us about your activities using the Contact Us form.